Fireworks dealers are still in court, but their stands are open this season. Recent rains — even though they didn’t wipe out the drought or refill area lakes — have certainly been good news for farmers, ranchers, well-water users, and boaters in North Texas. And for another less obvious group as well — fireworks fans and dealers. This year, out of eight North Texas counties that had instituted some sort of fireworks ban, only Hood County has kept the limitations in place, and even there, only sales of items that have either “sticks” — such as bottle rockets — or “fins” are banned, making things like firecrackers and sparklers available. Last Christmas, a county ban on fireworks — one that dealers are still disputing — caused Charlie Eubanks to shut the small fireworks stand he had owned and operated in Cleburne for the last 20 years. With the drought and the ban still in place when the Fourth of July rolled around, it meant serious financial problems for the 78-year-old retired printer. The bans also produced some unlikely victims, such as the Summit High School Band in Mansfield. 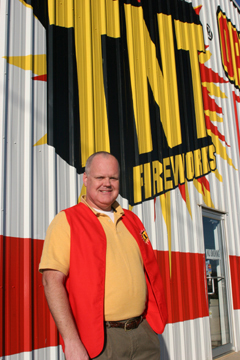 Bill Tillotson, who operates TNT Fireworks in Mansfield, is part of a volunteer effort to raise money for the band’s booster club. “They [TNT] actually provide the building and the product, and they contract with charity organizations to run their stores,” he said. “The charity staffs the store and earns a percentage of their sales, so it really affects our ability to support the charity that we’re working for.” Most of the volunteers have full-time jobs and use their vacation time to help run the business. He said that the booster club has lost several thousand dollars as a result of the bans. Fireworks dealers are ecstatic about the chance to recoup their losses, even though some are still fighting with counties over what they saw as an overstepping of counties’ legal authority in putting the bans in place. Last December, as wildfires ravaged the Texas landscape, Gov. Rick Perry declared a statewide drought disaster. Many counties — including Tarrant, Parker, Collin, Dallas, and four others in North Texas — used that declaration as a legal basis for temporarily banning some or all fireworks sales. A specific section of the state’s local government code gives county commissioners authority to institute bans on certain types of fireworks — those sticks or fins items — during droughts. That’s the statute that fireworks dealers think commissioners should have used over the last year. However, many counties instead used a broader section of the code that, commissioners argued, allowed them to ban all fireworks during times of “catastrophic” disasters. That broader ban is what the fireworks dealers went to court to fight. Gary Turley, owner of Double Barrel fireworks, which has locations in Keene and Crescent, and the Texas Pyrotechnics Association (TPA) filed suit against Eastland County over its fireworks ban and has maintained the court action even though the ban is now history. The case is set for Jan. 31 in Midland, and the dealers and their association hope to use it to reverse the precedent set in other cases. TPA members had sued commissioners in Comal, Tarrant, and Collin counties, but in those cases, judges had upheld the stricter bans. In the Tarrant and Collin county cases, Alamo Fireworks had charged that the bans exceeded commissioners’ legal authority and improperly restricted interstate commerce. Tarrant County Fire Marshal Randy Renios said last year’s ban was in the best interest of citizens. “We did it last year at the end of December and also during the Fourth of July selling period, because of the state disaster on wildfires. We didn’t ban fireworks as far as selling them — we banned the use of them, because everything was so dry.” He said that this year, while the conditions are not ideal, they do not warrant another ban. 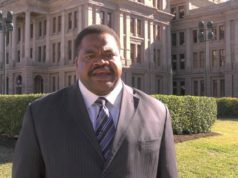 Hood County Fire Marshal Roger Deeds came to a different conclusion. In December, he asked Hood County commissioners to impose a ban on the sticks or fins explosives, and they agreed. “We were in drought conditions,” he said. “This time of year, after we have our freezes, we’ve got dry conditions out there, which are a normal part of the winter season. According to the Texas Forest Service, our drought index went from way low to way high.” In order for the ban to take effect for the New Year’s fireworks season, it had to be in place by Dec. 15. 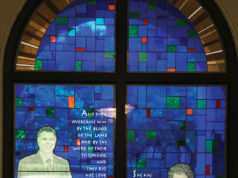 If he had to make the same decision today, Deeds said, recent rains might have led him to a different recommendation. Even when counties invoke their powers to ban the sale of fireworks, that doesn’t solve all the problems in dry years. While most cities ban the possession and use of fireworks, the counties’ limited powers extend only to the sale of the firecrackers, bottle rockets, and other fireworks. County officials have no way to limit the use of fireworks on private property in unincorporated areas. So even in years when counties can ban the sale of fireworks from the stands that are set up annually just outside of city limits, they can’t stop people from coming out to the country to set them off. 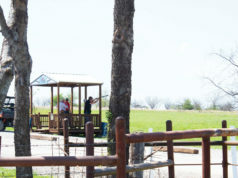 Deeds, for instance, complained about people driving from Fort Worth to shoot off fireworks in the outlying areas of Hood County, creating a potential hazard. Most of the damage, he said, is done by the sticks or fins types of fireworks, which have unpredictable trajectories.